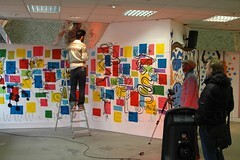 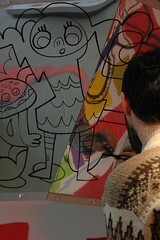 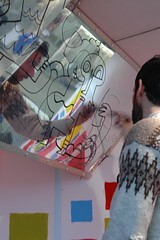 Direct from Oslo, Jon Burgerman shared his infectious world of doodles at the NOISE Lab. 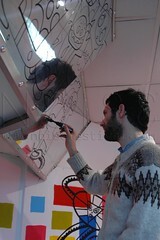 Illustrator, toy designer, painter, animator Jon was there to offer advice and gave a presentation in which he shared his amazing journey from bedroom artist to professional. 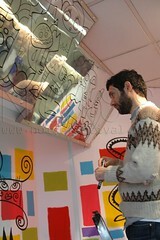 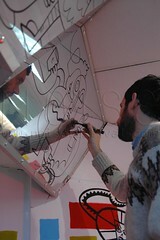 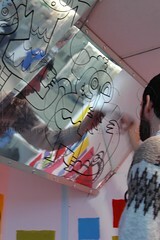 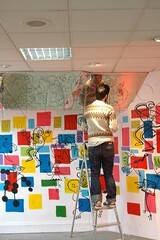 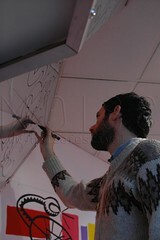 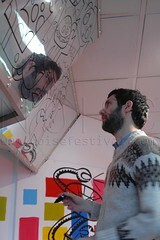 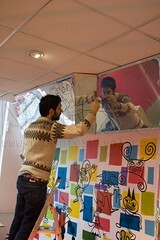 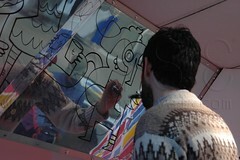 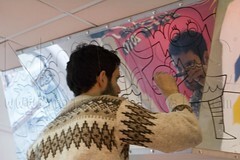 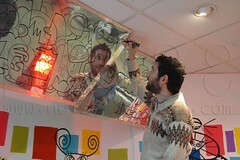 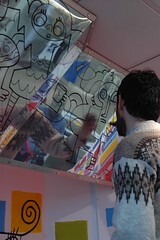 He then adorned the NOISE Lab mirrors with some live doodling. 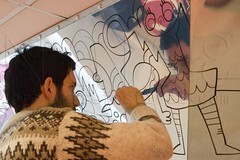 Since his live doodling debut at Doodlebug's International Doodlebug day in 2004 Jon's playful characters have been embraced worldwide, making him one of the UK's most revered and loved cartoonists with his world of toys, books, murals, stickers, video games and just about any inanimate object which he takes hold of!